In this article, I am going to explain about the Local Computer Logon Failure Event 4625. This event will get logged whenever an user tries to login with bad or wrong credentials. Here we will discus about how to Enable Event 4625 through local security policy and Auditpol command in local computer and how to enable Event 4625 in Active Directory based domain environment via Group Policy Object. Here, we will also discus about how to Stop or Disable the event 4625 when you don't want logon failure activity. Refer this article Tracking User Logon Activity using Logon and Logoff Events to know about how to track user's logon duration from logon 4624 and logoff 4634 events. The Subject fields indicate the account on the local system which requested the logon. This is most commonly a service such as the Server service or a local process such as Winlogon.exe or Services.exe. 1. Run the command secpol.msc to open Local Security Policy. 2. In Local Security Policy console, go to the node Audit Policy (Security Settings -> Local Policies-> Audit Policy). 3. 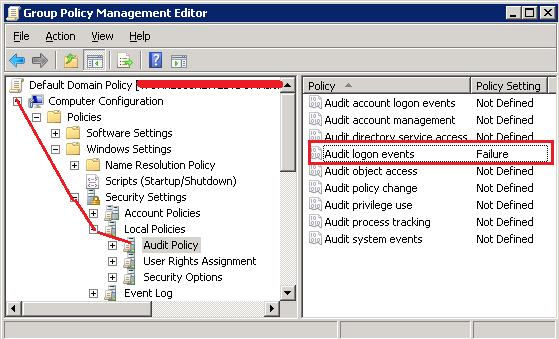 In right side pane, double-click the policy Audit logon events. 4. Now check the Failure audit and click Apply to configure logon failure event 4625. Now, you have successfully configured audit setting to log event 4625 in local computer. 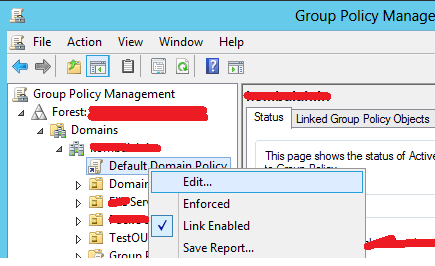 if you working in Active Directory based domain environment and if you want to configure this settings in all the computers that exists in domain, you need to achieve this by applying audit setting through any of Group Policy Object. 3. Expand the Computer Configuration node, go to the node Audit Policy (Computer Configuration->Policies->Windows Settings->Security Settings->Local Policies->Audit Policy). 4. Navigate to the right side pane, select the policy Audit logon events, and set the Failure audit value. 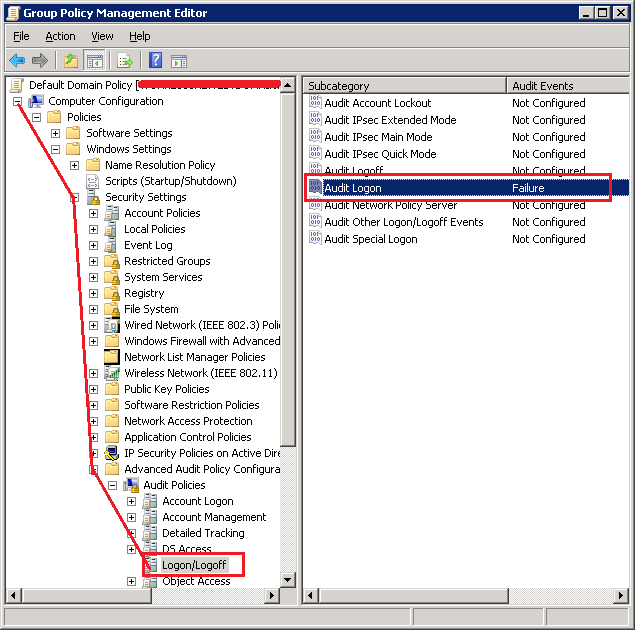 You can also stop this event by removing the Failure audit setting from the GPO in the setting path Computer Configuration->Polices->Windows Settings->Security Settings->Advanced Audit Policy Configuration->Audit Polices->Logon/Logoff->Audit Logon. Note: You need to refresh/update GPO for every change by running the command GPUpdate/force.